A specially designed cement-based plaster mixture for rapid thin application to brickwork and blockwork to fill the joints and other imperfections economically. To provide a level base for the application of Cemcrete’s SatinCrete, CemCote, CemWash, Thermoplastic Coating, StippleCrete and Texturite Roughcast to walls constructed with bricks or blocks. Cure all completed PlasterCote by wetting with clean water three times the next day. 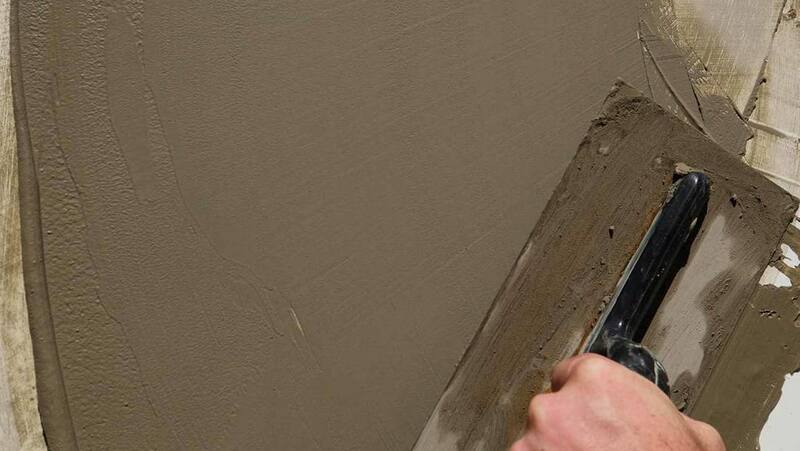 Q: Can I use PlasterCote be used on previously coated work? A: Yes. PlasterCote should be mixed to a stiff mortar consistency. Re-pointing of existing walls: The pointing on existing walls may vary in depth and texture so it is recommended that a diamond chasing tool is used to chase the existing joints to a recommended depth of 6mm. Chasing too shallow will not provide the longevity required whilst chasing too deep may weaken the structure. The same mixture can be used to fill up holes or damaged bricks. Allow this to set then apply PlasterCote as a filler coat over the entire surfece as per point 1 on the PlasterCote Datasheet.